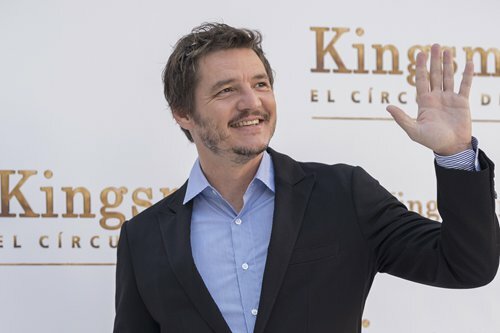 Narcos and Game of Thrones star Pedro Pascal is to play the lead in upcoming Star Wars TV series The Mandalorian, Disney said on Wednesday, as it builds on the beloved and profitable science fiction franchise. "We're having a great time working with this incredibly talented group and excited for everyone to see what we're up to," said Favreau, whose next big screen project will be Disney's The Lion King (2019). Other actors announced for the series - set to debut on Disney's upcoming small screen streaming service - include Gina Carano (Deadpool), Giancarlo Esposito (Breaking Bad), Nick Nolte (Hulk) and acclaimed German filmmaker Werner Herzog. But disappointing box-office results for its latest spin-off Solo: A Star Wars Story raised questions over whether Star Wars fatigue might be setting in, 40 years into a series that once kept respectable three-year gaps between episodes. On top of The Madalorian, Lucasfilm has announced plans for an Episode IX, two further trilogies by Last Jedi director Rian Johnson and Game of Thrones showrunners David Benioff and D.B. Weiss, a Boba Fett origin story and a possible Obi Wan Kenobi spinoff. Online reaction to the announcement of Pascal appeared positive, with fans praising Lucasfilm for its "excellent choice" of cast. "ALL IN on a Pedro Pascal Star Wars TV show," said one enthusiast on Twitter.